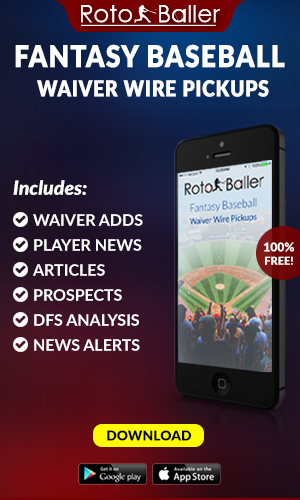 It's full steam ahead for fantasy baseball draft season before Opening Day hits. 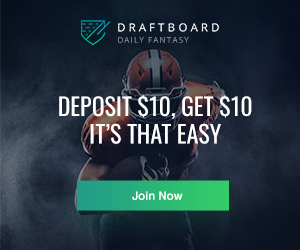 Depending on how many leagues you are in, you may already have a pretty good handle on what to expect as far as where and when certain players or position groups are going in drafts. On the other hand, maybe you're only in one or two leagues, and your drafts have yet to be held. In that case, you might be wondering how it will all unfold. Drafts are unpredictable as it is, but you don't want to put yourself at a disadvantage by walking in blind. While there are going to be surprises, you want to be able to prepare for those surprises. You never want to be the person in your league thinking, "I can definitely get Player A in Round 3," only to have him disappear in Round 2 and leave you without a backup plan. 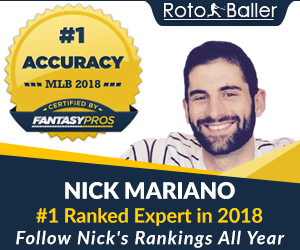 This is where studying rankings across the industry, compiling your own personal rankings, and monitoring average draft position leading up to the big day will all come in handy. 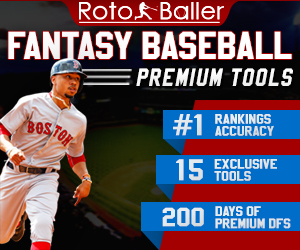 Luckily enough, here at RotoBaller we are always examining trends, studying numbers and conducting research with the goal of helping our readers (and ourselves) become better-prepared for anything a fantasy draft might throw at us. Today we will take a look at some shortstops and discuss whether they are being valued too highly, or not highly enough, at their average draft position. All ADP information courtesy of NFBC. Javier Baez has primarily been a second baseman to this point in his career, but his eligibility at shortstop warrants bringing him into this discussion. For starters, let's establish that an ADP of just under 15 indicates that the player in question is part of the foundation upon which we're building the rest of our team. Then let's ask ourselves how comfortable we are placing that kind of responsibility on the shoulders of a player with as many red flags in his plate approach as Baez. Baez walked in 4.5 percent of his plate appearances last season, which is just as close to his career low as it is to his career high. He has never had a walk rate above 6.6 percent. His swinging strike percentage of 18.2 was second-worst among qualified hitters in 2018, contributing to the 25.9-percent strikeout rate that has become routine for the relatively all-or-nothing youngster. Moreover, his contact rate of 68.5 percent ranked 136th among qualified hitters. To be fair, he's in the same neighborhood as fellow consensus early-round picks Giancarlo Stanton and Bryce Harper in that regard. The difference between Baez and those two, however, is Baez' exorbitant chase rate of 45.5 percent (second-highest in the league). Again, though, we don't need to look much further than his walk rate to gather he has a tendency to swing at just about anything. His fantasy value soared in 2018 thanks in large part to a career-high 24.3 percent HR/FB ratio and 21 stolen bases, also a career best. He brings positional versatility into the equation as well, allowing fantasy owners some flexibility with the infield spots on their rosters. That said, let's circle back to his ADP. Among players with shortstop eligibility, Baez is coming off the board just before Manny Machado. Even if we have questions about Machado's supporting cast in San Diego, the Padres' new $300-million man has proven to be a more consistent hitter throughout his career than Baez, and thus has a higher floor. As far as his overall ADP, Baez is going two spots ahead of perennial Cy Young candidate Chris Sale, and several spots ahead of Harper, Stanton, Paul Goldschmidt and Freddie Freeman. Harper and Stanton have longer track records of success, while Goldschmidt and Freeman are two of the safest all-around hitters in baseball. I'm not arguing that Baez can't repeat his 2018 numbers, but if we read between the lines, there is undeniable cause for concern. This early in the draft, I'm much more comfortable with the floors of a Goldschmidt or a Machado than I am with the ceiling of a Baez. The Royals' Adalberto Mondesi is an admittedly intriguing fantasy option following his 32-stolen-bases-in-75-games 2018 performance, but you'll have to ignore some disconcerting numbers if you intend to convince yourself he's worth a fourth-round pick. In 500 career plate appearances, Mondesi boasts a staggering 29.4 percent strikeout rate and a 4.0 percent walk rate. He saw the most playing time of his young career in 2018, when he had 291 plate appearances and launched 14 home runs, giving us reason for optimism. That said, shouldn't we want a larger sample size before taking him with the 41st overall pick? Mondesi's hard-hit rate in 2018 was 43.1 percent, one-tenth of a percentage point higher than that of Nolan Arenado. Is that a number we would expect to hold up over the course of 600 plate appearances? Mondesi also got relatively lucky on balls in play, posting a .335 BABIP despite a 67.0 percent contact rate. That contact rate would have ranked lower than the aforementioned Baez among qualified hitters. Interestingly enough, Mondesi also posted an 18.2 percent swinging strike rate identical to that of Baez. There's considerable evidence pointing toward an impending negative regression over a full season's worth of plate appearances for Mondesi. As far as his ADP, he's going ahead of Xander Bogaerts, for crying out loud. Even if Bogaerts' home run totals have been unpredictable throughout his career, he's still posted solid and consistent numbers in runs, RBI and batting average. For what it's worth, we could also be looking at Anthony Rendon, Cody Bellinger or Khris Davis at Mondesi's ADP. His game-changing stolen base potential aside, I'm still looking for relatively safe, high-floor options at this point in the draft. Count me out of the Mondesi sweepstakes at this ADP. Since We're Talking About "Steals"
It's easy to become a prisoner of the moment amid all the fanfare surrounding the Phillies' offseason moves. Even so, there aren't many predictions I feel more comfortable making for the 2019 season than to say Jean Segura will significantly outperform his ADP. Segura has hit .300 or better in each of the last three seasons, has averaged 91 runs scored in the same time frame, and has stolen at least 20 bases (and as many as 44) every year since 2013. He rarely strikes out (coming off a career-low 10.9-percent clip in 2018), and figures to find himself hitting in front of some combination of Bryce Harper, J.T. Realmuto and Rhys Hoskins in Philadelphia's batting order. The only anchor on his fantasy value is his home run potential, as he has never hit more than 20 in a single season. If you're willing to take a slight hit in home runs and RBI, however, Segura is the shortstop for you. He's going nearly 25 spots behind the aforementioned Mondesi despite a proven track record in more offensive categories and the most fantasy-friendly team situation of his career. He's a strong candidate to score 100-plus runs, steal 25-plus bases, hit .300 or better, and at least come close to matching his career high in home runs. I would be comfortable with Segura as my starting shortstop in any fantasy league for 2019, and I'd be willing to take him much higher than his ADP. Coming off the relatively rare position-player Tommy John surgery, Corey Seager does carry some health concerns into 2019. That concern is already factored into his ADP, however, as he would undoubtedly be flying off the board much earlier if we were only taking into account his 2016-17 numbers. Eliminating his injury-shortened 2018 campaign, Seager has averaged 24 homers, 95 runs, 74.5 RBI and a .302 batting average in his two full seasons at the MLB level. His best-case scenario for 2019 is obviously a quick return to form, which would likely result in Seager reestablishing himself as a fixture at the top of an exceptional Dodgers lineup. Should that scenario come to fruition, he is a steal at this point in any draft. Conversely, there is always the possibility that he struggles early on. 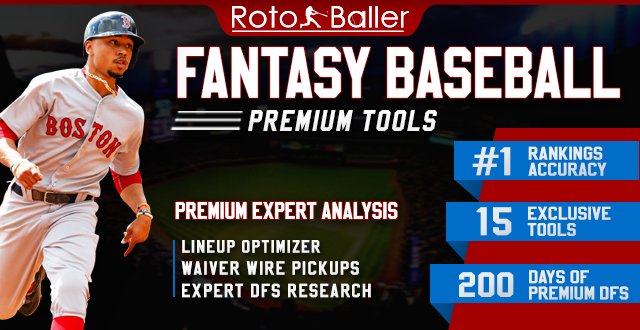 Assuming we've loaded up with safe picks in the early rounds, however, we can afford to exercise patience with Seager at his seventh or eighth-round ADP. If for some reason we've waited until the last few rounds of our draft to take a shortstop, the good news is we aren't totally up a river. Andrelton Simmons might be renowned for his defensive abilities, but he's emerged as a solid late-round hitter as well. He won't exactly pad our stats in every offensive category, but neither will anybody else at pick 221. Here are his average numbers in fantasy-relevant stats over the last two seasons: 12.5 HR, 72.5 R, 72 RBI, 14.5 SB, .285 batting average. For what it's worth, he also had the lowest strikeout rate in baseball last season at 7.3 percent. Even if we air on the optimistic side of those numbers, 15 HR, 15 SB, 75 R, 70 RBI and a batting average near .300 are all reasonably within his range of outcomes for 2019. And we can afford to air on the optimistic side because we're talking about a guy going in the 22nd round of a 10-team league. All this considered, I must advise that you do not wait this long to take a shortstop, but assuming your league uses a middle-infield and/or utility slot, you could do considerably worse than having Simmons fill out one of the last spots in your starting lineup.